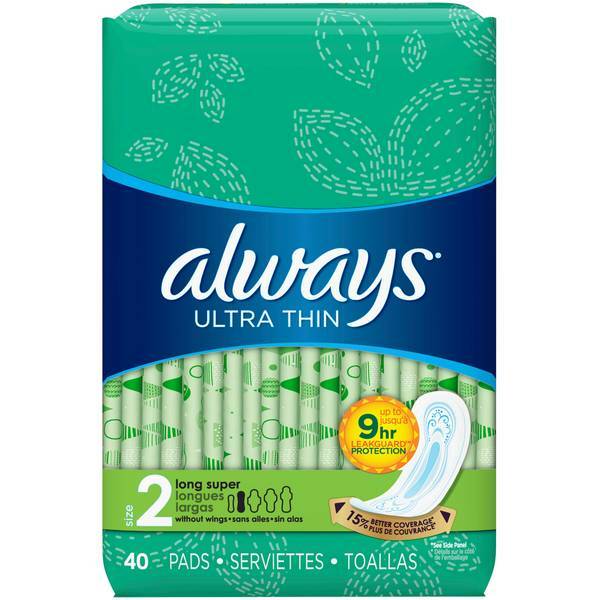 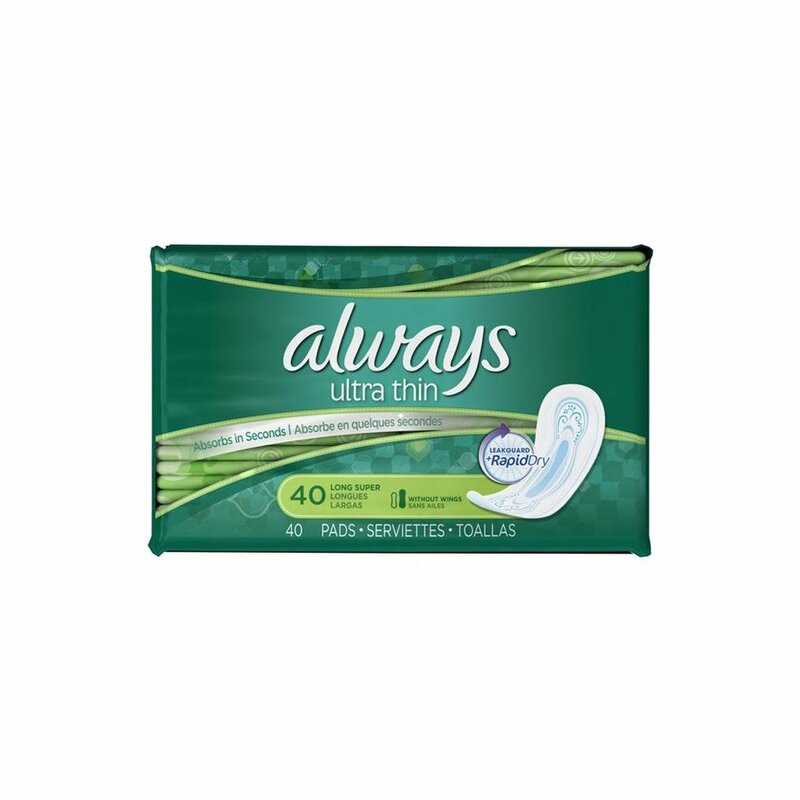 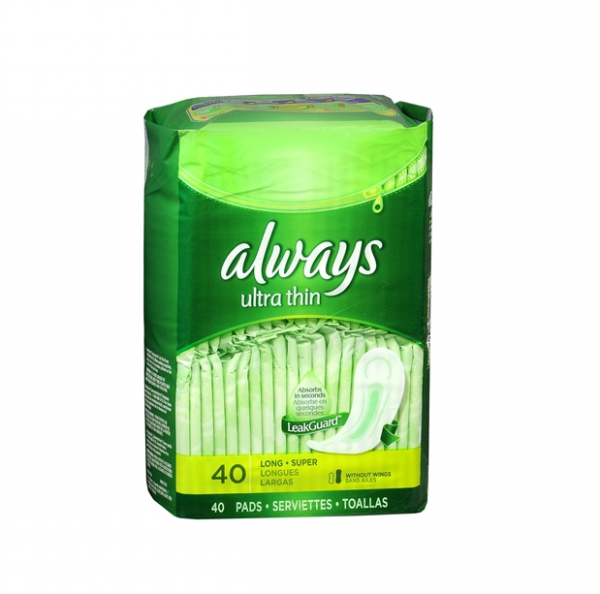 Always Ultra Thin Pads - Long/Super Without Wings, Unscented - 40 ct. 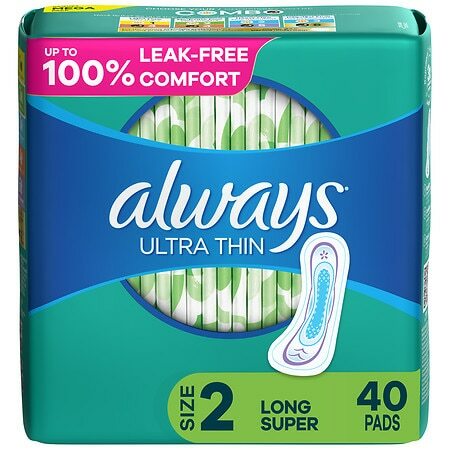 Always Ultra has a LeakGuard core that adjusts to sudden changes in flow. 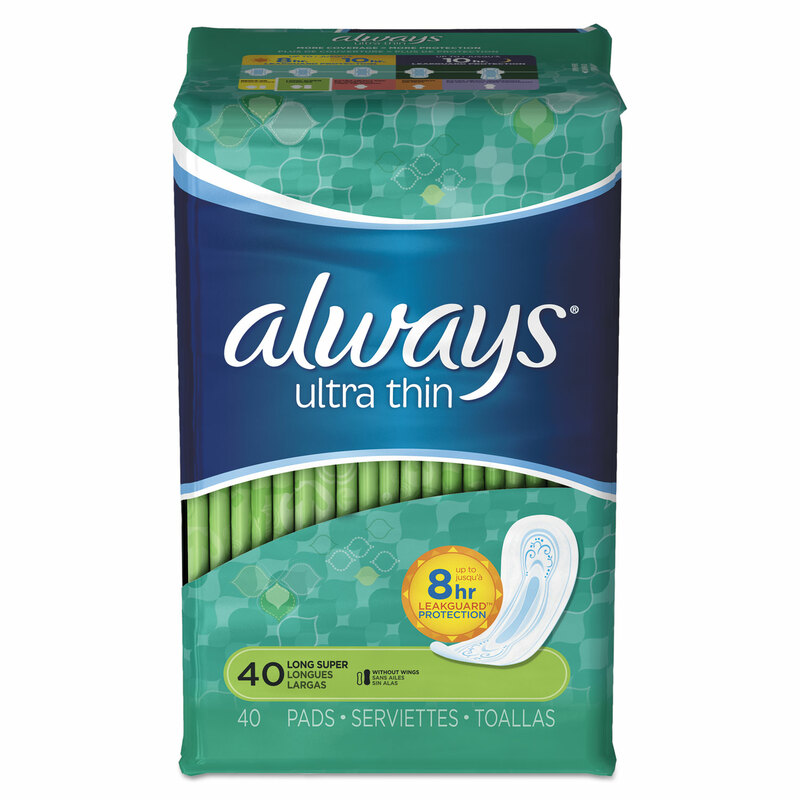 No other Ultra absorbs faster!